Your best friend gets lonely when you’re gone all day. A home away from home for your dogs when you’re not at home. Before you sign up, please read the rules below. Do you have questions? See the daycare FAQ section below. All multi day packages must be used within 12 months. All dogs need a completed daycare info form – you can fill out the form online! We accept cash, credit card or debit payments for daycare. We will email to inform you when your package is up for renewal. We ask that proof of vaccines please be sent in with a copy of daycare forms or you may call your vet’s office and have them email us a copy of the vaccine records. Please have your pup checked in by 10:00 am for grooming! Please be sure to read our house rules. These rules ensure the safety and happiness of all of our guests and their humans. We require a copy of our Doggie Daycare Profile Form filled out and the daycare contract signed for each dog, prior to attending daycare. Dogs must be non-aggressive and not food or toy protective. Dogs coming to daycare must be comfortable in a crate. Any dog with prior aggression or bite history towards people or other dogs can not be accepted into daycare. Please send your dog with a secure collar or harness. No metal collars are permitted. We will use our own leashes when needed. Your dog”s leash can be left at daycare if you wish. Shock, pinch and choke collars are not permitted in our facility. Dogs must be picked up by 6:00 p.m and dogs are expected to be picked up on time. There will be a late pick up charge fee of $50.00 until 6:30 pm. After which, your dog will be placed in one of our cozy crates and may be picked up the next morning, with a boarding charge. Saturday and Sunday pick up time is 5:00pm, a late pick up fee of $50.00 will be charged until 5:30pm. Your dog must be minimum 3 months of age with all required vaccinations. Dogs over the age of 7 months must be spayed or neutered with all required vaccinations. Proof of current vaccinations or titre tests for distemper, parvovirus and rabies are required. We must stress that any dog that does not have up to date vaccine records on file will not be allowed into the daycare area, no exceptions. Puppies must have their second set of vaccinations. Dogs must be on flea/lice/tick preventative from April to August. Owners must ensure dogs are dewormed, do not have fleas, lice, ringworm, kennel cough, giardia, or other communicable illness or pests. All dogs must be in good health and must not have been ill with a communicable condition within the last 30 days. 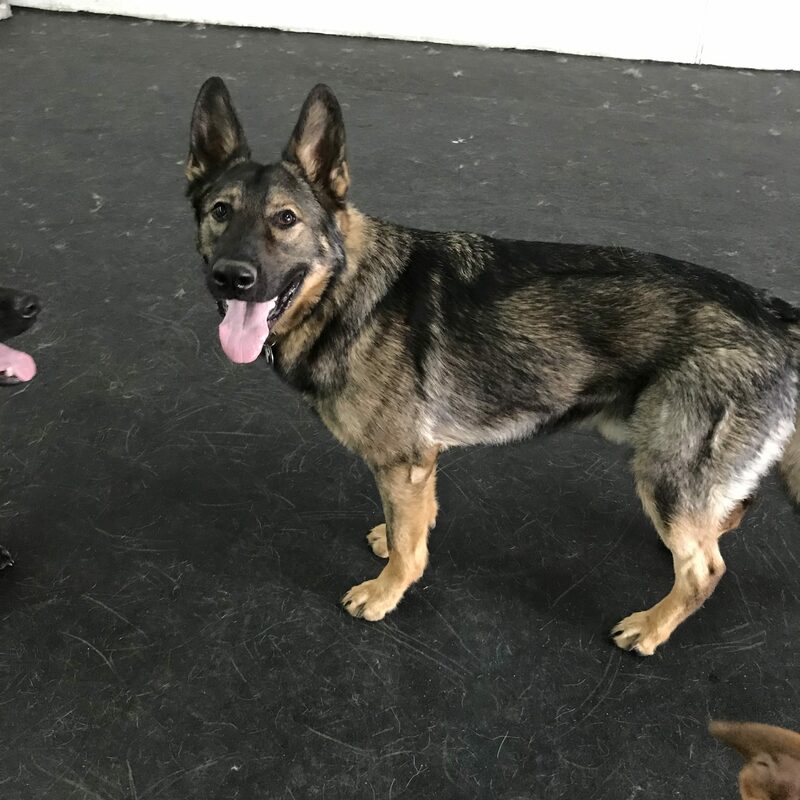 Should we see or suspect a dog of having any communicable illness or pest we will require the dog to be removed from the daycare by the owners immediately and they will not be able to return until they have been treated and are no longer contagious. Doggie Daycare is open Monday through Friday from 7:00 a.m.- 6:00 p.m, and weekends from 8:00AM-5:00PM. We are closed for daycare on all Stat Holidays. Packages will expire if the dog doesn’t attend daycare for one (1) year. When can I pick up and drop off my dog? Can I visit while my dog is in daycare? We do not recommend visiting during daycare. This often causes anxiety and stress at the sight of the owner stopping by and then leaving. You are welcome to call and check in if necessary. Please join our facebook page to get photos, videos and updates too. Reservations are highly recommended. We do have a maximum capacity of 50 daycare dogs . thus drop-in spots are not guaranteed. What if I need to cancel or my dog can’t make it to daycare? Twelve hour notice of cancellation is required. Less than twelve (12) hours notice will be charged 50% of the fees. If a reservation was made and no cancellation notice given you will be charged full fees. If a dog is bullying, barking excessively, mounting other dogs, peeing in the building, etc. we will try to distract the dog with verbal commands and if that does not work, the dog will be kenneled for a short time out. We like all dogs to be comfortable in our building and if a dog is barking excessively it can stress other dogs, not to mention what it does to our ears! Do you train the dogs at daycare? We make sure that dogs are under control when entering and exiting the daycare area. This is to prevent arguments between dogs. This may take some time if your dog is very excited, so we ask that you be patient for the sake of your dog, and all other dogs at daycare. We also work with the dogs on manners throughout the day. We work on house-training, no barking, no jumping up, and being polite going through doors. If you would like us to work on a specific issue your dog is having, we will try to make time to do so. Where do the dogs stay at daycare? Our daycare area is approximately 3000 sq ft indoors, with a 600 sq ft outdoor area that is fully fenced with 6ft chain link. Our indoor area is fully rubber matted for the comfort and safety of your dog. Our outdoor area is gravel. We do have a separate area for small dogs to play in if they are not comfortable with the bigger dogs. 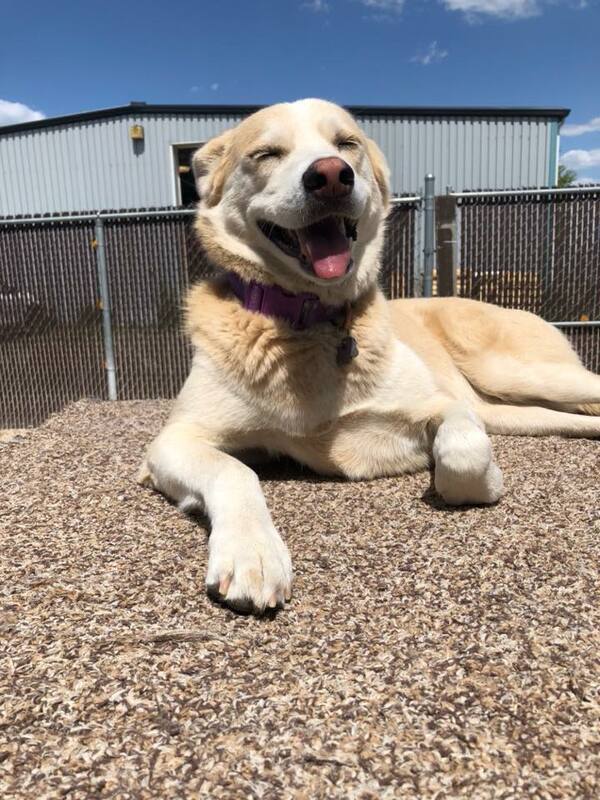 What should I expect after my dog has visited daycare? Running amok may be rough on your dog’s feet, and they may get sore and abraded pads. This will go away as their pads get thicker and used to running on different surfaces. Your dog will be having so much fun playing at Doggie Daycare, that they may forget to pace themselves and get sore muscles. Over time this will fade as you see them get stronger and more in shape. The new social interaction your dog will encounter while being at Doggie Daycare will be both physically and mentally exhausting. Expect your dog to need a lot of rest when they get home. Your dog’s enthusiasm to enter the group will grow as they get more used to being at Doggie Daycare. Eventually they will be just as excited to get to Daycare as they are when you pick them up at night. Working on keeping them calm when entering and exiting Doggie Daycare is important to prevent fights between excited dogs. Your dog’s coat may be wet when you pick them up during the summer – on hot summer days they may have been lounging in the pool. Not to worry, the water is changed frequently to keep them clean and healthy. Their tail will be wagging and you may even see a smile on their face. It’s their way of saying “THANKS” for bringing them to Doggie Daycare.